For many programmers, discovering Ruby is a revelation. They are overjoyed by how elegantly and succinctly they can state problems in the language. But then the real world creeps in, and that joy gradually wanes as the code becomes cluttered with distracting edge case scenarios, error handling, and checks for nil. 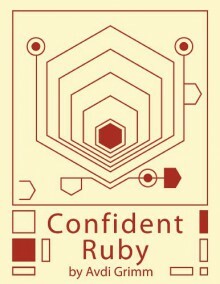 Confident Ruby is a guide to recapturing the joy of writing Ruby by employing small patterns and stylistic choices to make each method tell a coherent story. Over the course of 32 patterns, you’ll learn how to isolate uncertainty at the borders of your code; how to avoid repetitive conditionals; and how to liberate your code from the chore of nil-checking. You’ll discover the four parts of a method, and how to use those parts to construct a narrative. Following along with real-world refactoring sessions, you’ll learn how to apply these lessons to legacy code. Whether you are a novice or an experienced Ruby hacker, this book will help you become a more confident and joyful programmer.